Saturday is Texas Independence Day – when Texans signed a declaration of independence from Mexico and created the Republic of Texas. To this day, Texans are fiercely independent, which is why our unofficial state slogan, “Don’t Mess With Texas,” has resonated with so many. What most people outside of Texas don’t know is that it started (and still is) our anti-littering campaign. It debuted during the Cotton Bowl in 1986 and featured legendary Texas guitarist Stevie Ray Vaughan. Since then, this iconic social marketing campaign is credited with reducing litter by 72 percent. It was even voted America’s favorite slogan, beating out Nike’s “Just Do it” and “Got Milk?” in a 2006 contest by Adweek. It has evolved from merely an anti-litter campaign to a full-blown movement, becoming a unique “badass” battle cry that capitalized on Texans’ strong sense of state pride. In our annual New Year’s blog back in 2016, we predicted that system change would be the most prolific trend, and social marketing would serve as a crucial linchpin in jumpstarting the bottom-up change needed to affect large-scale social change. The “Don’t Mess with Texas” campaign beautifully illustrates the major levers of how you shift from simply building awareness to creating an identity that moves people to action. Measurable Goals: It all started with a problem that required setting ambitious but achievable goals that can be measured to track progress. After decades of collecting litter from state highways, the Texas Department of Transportation decided to take a fresh approach. In 1985, they challenged GSD&M, a local Austin advertising agency, to help them create a campaign that would reduce litter by a minimum of 5 percent in the first year. Just one year after the launch of the Stevie Ray Vaughan commercial, litter had decreased by almost 30 percent statewide. Unforgettable Message: Once they understood the target audience, they had to develop a message that would inspire this specific group to change their behavior. They researched this target audience’s psychographics and noted that as a whole they had a high degree of pride for being Texan, favored pickup trucks, loved football and listened to music while driving. They also realized that the word, “litter,” didn’t motivate anyone. They landed on the word “mess” as a better, more emotionally charged word. It reminded young men of a less-than-appealing moment from childhood when their mothers caught them “making a mess.” While the campaign was not intended for all audiences, it was sticky enough that it worked for almost all Texans. Right Channels: Once they had a message, they found just the right channels to distribute it. Based on the target audience’s preferences, they focused on producing TV and radio commercials featuring famous male Texans – often playing music – and aired them during sports broadcasts. 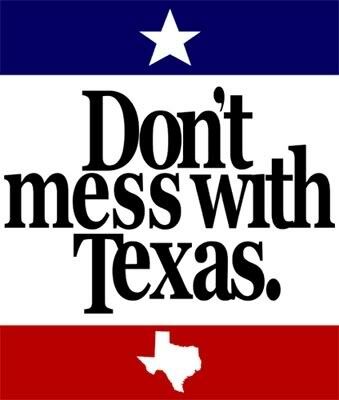 Because of the exacting approach taken with goals, target audience, messaging and channels, “Don’t Mess with Texas” has morphed into the collective ethos of many Texans, myself included. In fact, when the Texas Department of Transportation bid out the contract, no agency suggested a change in the slogan. Even now, in a new millennium when we communicate in 140 characters on Twitter, it still works. Before the campaign, Texas spent $2.33 per Texan for cleaning Texas roadways, and now the state spends only $1.90. That is about as close as you get to social marketing perfection. We’d love to hear your thoughts on this social marketing campaign or others that you have learned from. Thanks for sharing that story and strategy. I did not know the history of that campaign and better yet it has me thinking on some of the strategic points. A double win!